You want to lead, and your horse needs to follow. The basic skill of leading is one horses learn as foals and that humans learn in their very first horseback riding lesson. You cannot ride a horse who does not halter and lead. Before you can halter the horse, you need to approach him correctly. 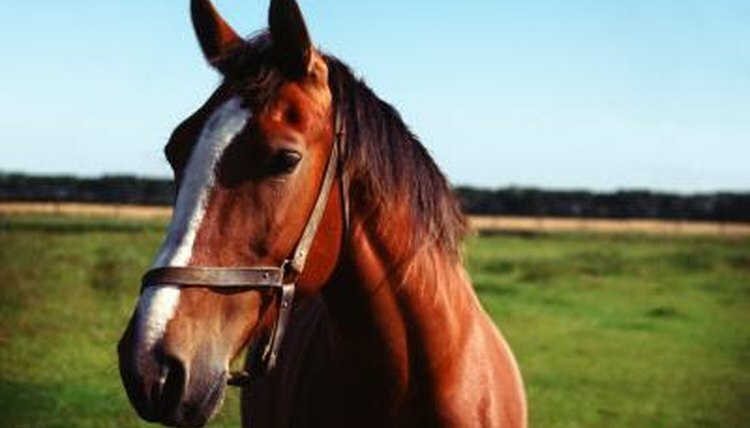 When you go into the pasture or stall, walk slowly up to him on his left side. Talk gently to the horse as you approach so that he will know you are there. When you are within a foot or two of his head, hold out your hand and allow him to sniff your fingers so that he can become familiar with your scent and realize that you are not a potential predator. You cannot just throw a halter at a horse and expect it to land on his head, so you need to learn how to put the halter on properly. Go the left side of your horse and position the halter so that it is facing the same general direction as the horse's head. Slip the halter onto the horse's head gently. Reach under the throat with your right hand to place the crown piece over the horse's head behind his ears. Take your left hand and hold the halter in place as you buckle the end of the crown piece into the buckle that sits on the left side of the horse's head. Check the halter's fit. It needs to be snug enough that it will not slip off the horse's head without being so tight that it will dig into the horse's skin. The lead rope attaches to the metal ring that hangs on the bottom of the noseband. Most lead ropes simply snap onto the ring. You lead your horse correctly by holding the lead rope in your right hand within a few inches of your horse's head and holding the excess rope in your left hand. Avoid wrapping the rope around your hand or arm. If the horse bolts, you could be injured if you are unable to quickly release the lead rope. When you lead your horse, start by standing on his left side even with his shoulder and apply slight pressure on the lead rope. The horse should follow you if he is properly trained. The horse should not drag you or trail behind you. He should walk beside you. If you want to stop him, pull back on the lead rope. If you want to turn the horse, turn him by pulling the lead rope in the direction you want to go in.